And it’s not because of the apocalyptic haze that shrouded Singapore two weeks ago. It’s also not because after the apocalyptic haze, apocalyptic hail pelted my sister’s Korean language classroom in Jurong on Tuesday. It’s also not because Gordon Ramsay is coming to Singapore. Last week, the Hell’s Kitchen star accepted SingTel’s challenge to a hawker food cook-off in a YouTube video. I’m surprised the British chef even knows what the term “hawker food” means. I wonder how much SingTel is paying him to pretend he does. I’m less surprised that The New Paper reported that some of the local hawkers shortlisted for the cook-off didn’t know who Ramsay was. And he wasn’t talking about the apocalyptic haze or the apocalyptic hail. Anyway, it might as well be the apocalypse for me since I have failed in my quest to get the Singing Bone Hello Kitty from McDonald’s. I no longer have a reason to live (except for the prospect of watching Ramsay yell obscenities at our local hawkers). I’m not even a Hello Kitty fan. 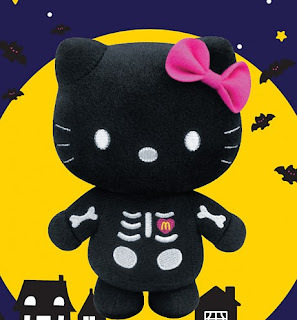 But the moment I first laid eyes on the picture of the black Singing Bone Hello Kitty toy last month when McDonald's launched its fairy tales-themed Hello Kitty promotion, I was spellbound. I had never seen a black Hello Kitty before. It's so irresistibly cute yet macabre at the same time – and it’s not even Halloween. The Singing Bone actually refers to relatively obscure and gruesome Brothers Grimm fairy tale about a guy who murders his brother and buries the body under a bridge. According to singingbone.com, many years later, a shepard finds a bone of the dead brother and uses the bone to make a mouthpiece for his horn. When the shepherd puts the mouthpiece to his lips to play, the bone starts singing about how the brother was murdered. It’s Hello Kitty gone goth! 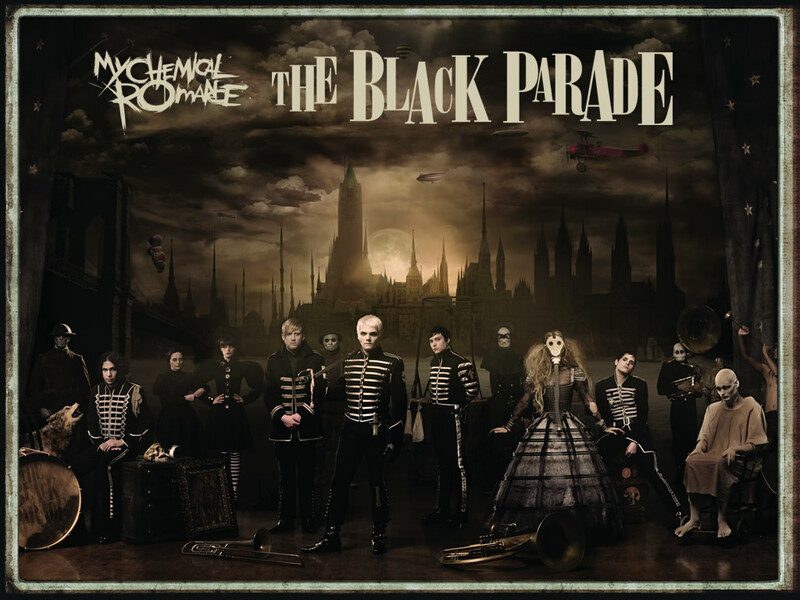 The black costume also reminds me of My Chemical Romance’s music video for their epic 2006 hit, Welcome To The Black Parade, which I love. I don’t care about the other Hello Kitties that McDonald’s was offering. I just want the black one. When my wife bought the Little Red Riding Hello Kitty at McDonald’s more than three weeks ago, there was no queue. Then people started queueing for the Ugly Duckling Hello Kitty on the night when the PSI hit 321. That was when it began to get a little crazy. My plan was to join the queue for the black Hello Kitty after work on the night it was released at the 24-hour McDonald’s outlet in Yew Tee, which is closest to my home. But then I had noticed on my way to Yew Tee that there was no queue at the nearby Teck Whye McDonald’s. So I decided to take a taxi from Yew Tee to the Teck Whye McDonald’s, which cost me $6 including the midnight surcharge. It was only after I got there that I saw the “sold out” sign. So that was why there was no queue! I felt so stupid and embarrassed by my stupidity that I pretended I wanted to buy some food at McDonald’s and then pretended to change my mind. So I took another taxi back to Yew Tee for another $6 and joined the queue at 1.53am. Two poor souls actually joined the queue after me. At 2am, a guy in a McDonald’s uniform came out holding a “sold out” sign. He announced that unless we have a coupon, there would be no Hello Kitty for people standing behind the sign. I was standing way behind the sign. That was when my world ended. I was also out 12 bucks because of the taxi fare. I was so emo I wanted to murder someone and hide his body under a bridge. If only I hadn’t wasted precious minutes going to Teck Whye, I could be snuggling with my black Hello Kitty at this very moment. What do I have to live for now? I’m not interested in buying second-hand Hello Kitties from resellers because it’s just not the same. Hey, there are some old episodes of Hell’s Kitchen on YouTube. Ha ha, Gordon Ramsay just called someone “dickface”. There may be life after Hello Kitty after all. UPDATE: To make me feel better, my wife bought me the balloon version of the Singing Bone Hello Kitty yesterday from VivoCity. It worked. Too bad the air eventually ran out. All joy is temporary.